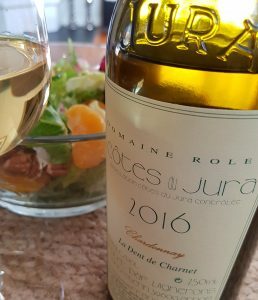 Here is another tasty Jura playing with oxidation, this time from Domaine Rolet. Rolet is found in the historic town of Arbois, Louis Pasteur’s homeplace. The domaine was created in 1942, and with 58 hectares it’s now the second largest producer in Jura. The founder’s four children are now running the domaine. Key words have always been traditional organic farming, ploughing, hand-harvesting (in those steep slopes), ripe grapes, fine-tuned use of wood, and controlled oxidation to obtain what winemaker Guy Rolet calls “a little hazelnut nose”. In fact some have called Jura’s white wines something between a burgundy and a manzanilla sherry. This wine was fermented and aged in wood barrels for between one and two years. Deep yellow. Intense aroma, nutty, buttery, with lime and some salty tones. Full and rich with a good tannic grip, and decent acidity. Normally this oaky character could have been too much, but it’s something with the lightly, controlled oxidized style and the power that makes this work. Furthermore it’s better after some days in the fridge. 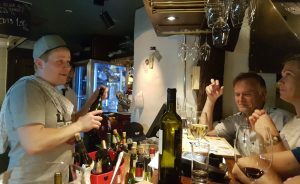 Since my previous visit to Vinkontoret (the Wine Office, see here), a nice place to sample wines in Stavanger, Norway, one of the sommeliers has left. Christoffer Ingebretsen, formerly in charge of the restaurant at the town’ concert hall, is now alone. And he is busy, but he handles the crowd, and even remembers most of the wines I ordered two months ago. Among them were Alsace Pinot Gris 2013 (J & A Ganevat): A Jura producer, but also with some negociant activities, like here, where they control the vineyards. A light yellow wine with aroma of yellow tomatoes, a little raisiny, waxy, and a touch of flor. Full, smooth and quite long. Back to my March visit, a Grand Cru Sommerberg Riesling 2009 (Albert Boxler), was fabulous: Deep yellow. Honeyed, waxy, and herbs on the nose. Full, smooth, and a great acidity contributes to the long finish. This one was uncomplicated, yeasty and fresh, with a touch of peel and a limey acidity. 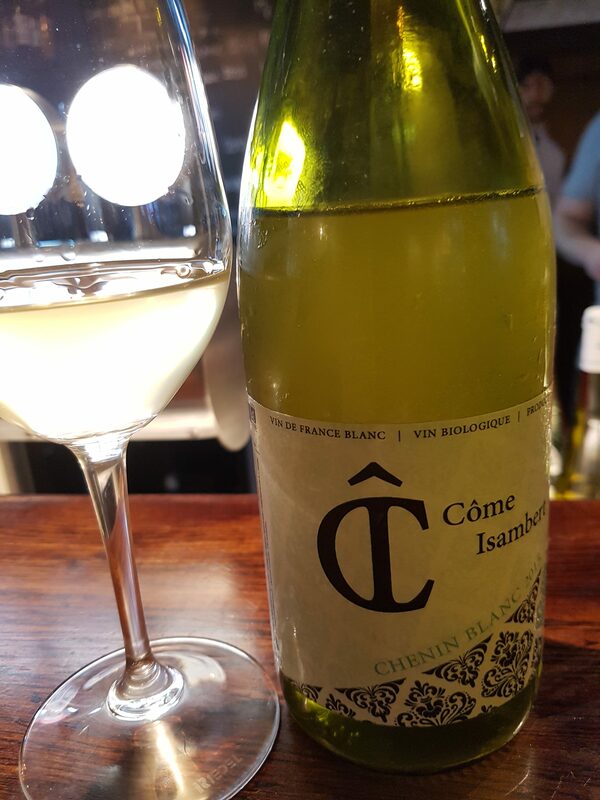 Côme Isambert 2015 is a quaffable Saumur chenin blanc grown organically chalky, schisty soil and aged on the lees in big barrels. Côme doesn’t own the vineyards, but buys the grapes from four different growers and does the rest himself. Pure joy! Next order: -It would have been nice with some red wine now. Christoffer: -OK, I’ll bring you some! Clos Mogador of René Barbier is a wine I have followed through many years, here in the 2013 vintage. René here means both father and son. Taken the lead now has junior, who is married to Sara Pérez, that has exactly the same position in Mas Martinet, also in the municipality of Gratallops. Dark, slightly violet; dark fruits, blackberry, rosemary, and a cool freshness; full and warm in the mouth, lots of tannins and a nice minerality. The rest in brief: Barolo Riserva “7 anni” 2008 (Franco Conterno): Some developed tones; red fruits, lickorice, underwood, mushroom; fresh acidity, evident tannins, but not aggressive. La Guiraude 2015 (Alain Graillot), Crozes-Hermitage. Red, violet hint; fresh aroma, still with youthful charm, red fruits, flowery; in the mouth young tannins, inspiring acidity. Côte Rotie 2010 (E. Guigal): Ruby red with developed tones; meaty aroma, forest berries, some sweet tones (toffee); round, full, well-balanced, maybe at its peak now, but I’m not sure if this is for me. Worth mentioning from the last visit was also a barbera, La Scarpa La Bogliona 2008, a richly flavoured wine in good balance, with cherry and nuts, and a sweet & sour-like touch. With the wines I ordered a cheese and charcuterie plate. The cheeses were Swiss, from Burgundy, La Mancha, and Lombardia, and of various styles. Ok, the visits may seen as a bit of an of an impromptu character, but so what, this is a fascinating place with enough wine to follow your instincts, and many whites can go after a red. Each time at this office is a well worth, rewarding safari – and there’s not too much paperwork involved. The Tissot wines are classics in Jura. Labelled as André & Mireille (Stéphane’s parents), today Bénédicte and Stéphane are in charge, and the Tissot family is among a handful of producers who carry the torch for the whole region. These are emotional wines, if we dear to use such an expression: If not the wines themselves are, they can at least create emotions. They are made with a deep passion for wine and environment, and it’s nothing industrial or mass-produced about them. The vines are cultivated in a biodynamic way, Demeter certified, it’s all completely natural, free of artificial chemicals, Tissot works with natural yeasts, and -needless to say- the sulphur levels are kept down to an absolute minimum. Because of the diversity of terroir they have decided to make many wines (around 30 different ones) in small quantities, to maintain their individuality. 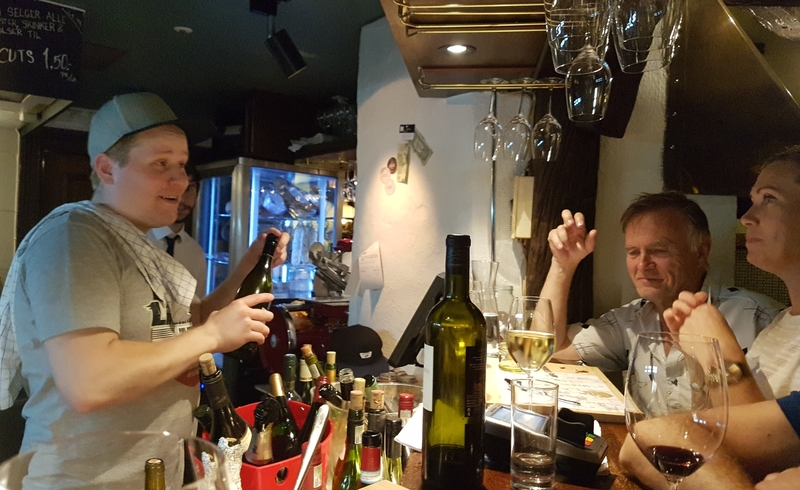 This week’s wines was tasted in our local wine club on Monday this week, along with other exceptional wines from Jura, several of them from Tissot, including a crémant, a late harvest dessert wine and a fortified “Macvin”. The choices could have been many, their Vin Jaune is also exceptional, but in the end I chose to highlight the Amphore. The Savagnin Amphore is, as you might imagine, made from the savagnin grape variety and aged in amphora. The 20-25 year old vines were grown in soil with a high clay content, the maceration was made in amphoras where it also aged for 6 months, before pressing and maturing for 3 months, then bottled without filtration and without the use of sulphur. Some words about the savagnin (blanc) is maybe justified: This is a grape from the sub-alpine regions of eastern France. It’s most famous for being the grape used in the typical “yellow wine” (vin jaune) aged under a blanket of flor yeast, just like in the sherry area (hence some similar aromas). But it’s used for a lot more, and over in the high-altitude vineyards of the Swiss Valais region it goes by the name heida, where it makes fresh and crisp dry white wines. There have been many attempts to link it to other varieties such as albariño and gewürztraminer, but all we know by now is that it has some association with (no, not the sauvignon, but…) the traminer varieties, and that it’s part of a whole family of savagnins. Deep orange-brown, somewhat cloudy. Loads of skin contact character in aroma, mostly orange-peel, some nuts, mature apples, spices, some “wild” aromas on the same path as a good lambic. Good concentration, smooth in texture, and with smoky notes in the mouth and aftertaste. 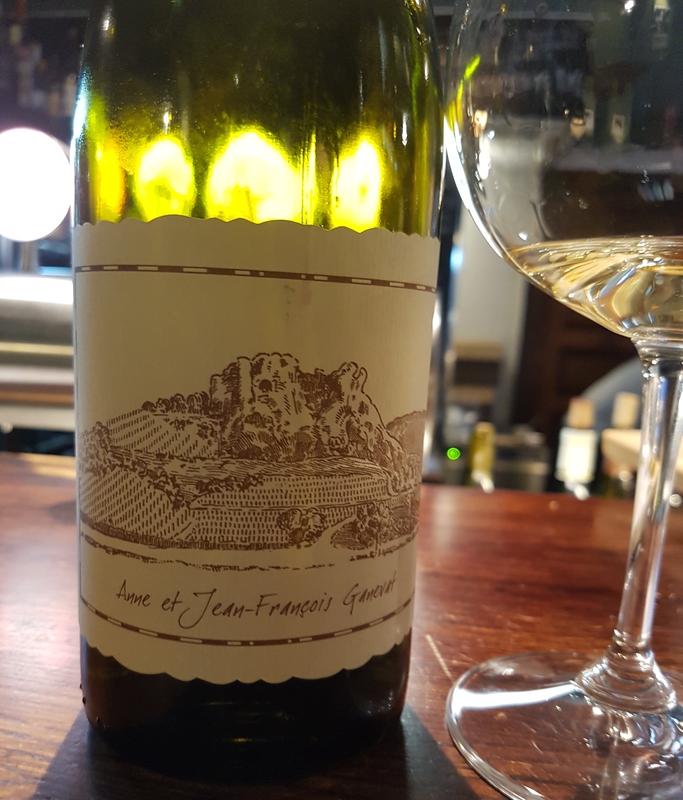 Anne and Jean-François Ganevat continues to deliver fresh, fruity, and almost completely natural wines from their Jura property. This time I have tasted the new edition of their Cuvée Madelon Nature, the 2014 vintage. Gamay-dominated, it also contains 10% of poulsard and 10% trousseau. Only natural yeasts are used, and the wine is not fined, nor filtered, and has not been added SO2. Light coloured red with blueish rim. Smells of red fruits, some blueberry. Very juicy, grapey in the mouth, with low tannin, moderately high acidity, maybe a slight touch of brett (but so what? ); simply delicious! This wine I tasted today in the Remedy wine bar in London. It comes from a single vineyard belonging to Château Chalon in the French Jura region, a so-called “vin jaune” (yellow wine), and a very good representative for the species too. They are aged under a layer of yeast, like fino sherry, and like this one they typically come in 62 cl bottles. The producer puts “Vin de Garde” in the middle of the front label. 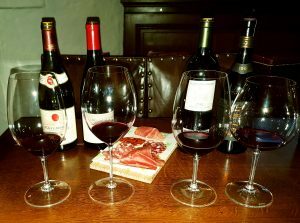 And many tastings have shown that even if they are delicious now they are able to develop over several decenniums as well. A yellow to orange coloured Vin Jaune. Pure scented with elements of almonds, citrus, apricots and some salty mineral notes. Grapey, silky-smooth on the palate, nutty and long. I may be out of tune, but chardonnay is normally not one of my favourite grapes. Of course there are many good wines made from it, but I think that the legend is bigger. Once in a while something comes along that is different, savoury, natural, and I might say engaging too. Anne & Jean-François Ganevat is located in the small village of La Combe in the green rolling hills of the Jura, between Burgundy and Switzerland. Here in a cool climate, with vineyards planted on slopes at varying altitudes and gradients wine are made in a great variety of styles. Here they make truly inspiring wines from both red and white, famous and ‘local’ grape varieties, certified as biodynamic. All grapes are de-stemmed by hand, and the use of sulphur is down to an absolute minimum. The whites are aged on the lees for extended periods. Other features are whole cluster fermentation, no racking of must, and all whites go through malolactic fermentation. This one is made from 100% chardonnay and has stayed for a number of months in big, old wooden vats. Deep yellow/orange. Perfumed, with notes of citrus, apricot and dried fruits. Full, luscious taste, quite glyseric, just the right acid, in perfect balance and very long. Food: fish, salads, light meat, and why not the local Comté cheeses.